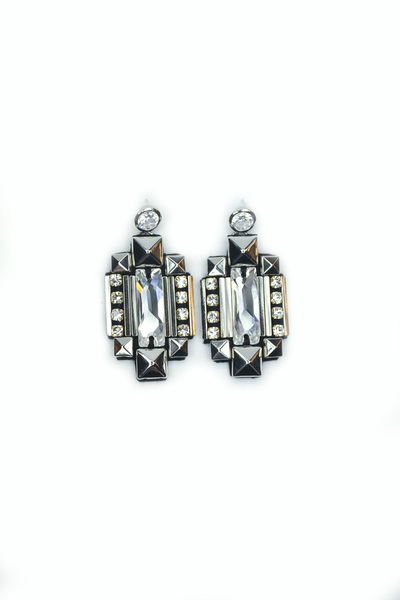 Embellished with Swarovski cosmic crystals, crystal rhinestones, silver-plated pyramid studs. 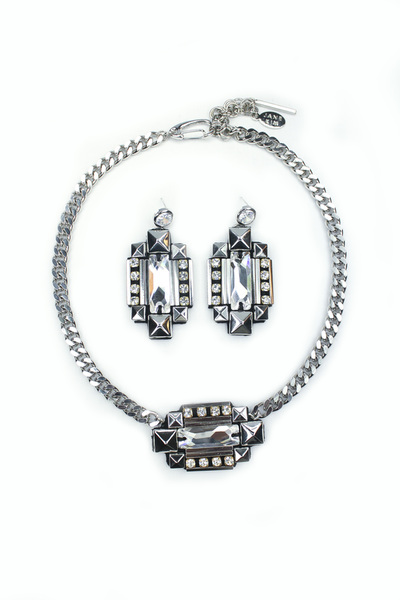 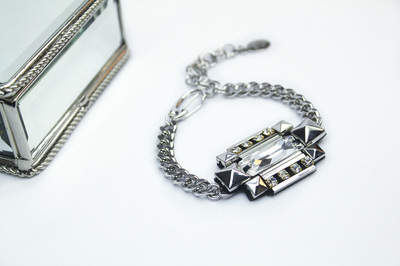 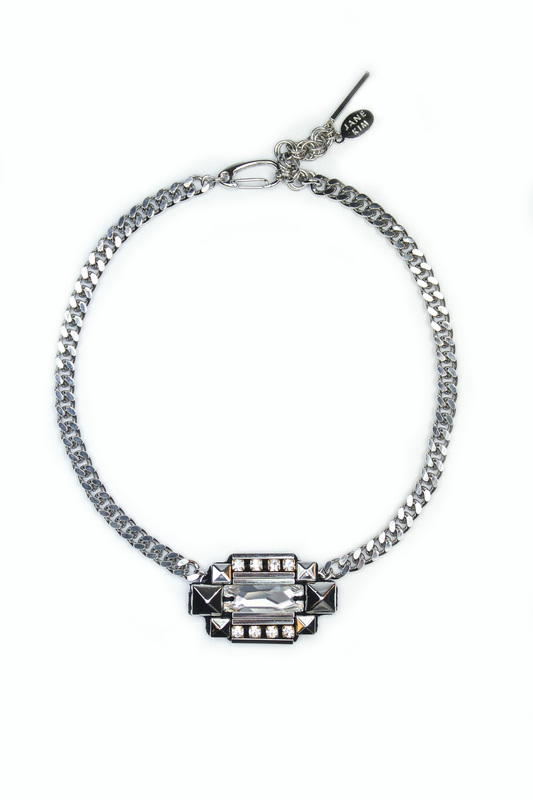 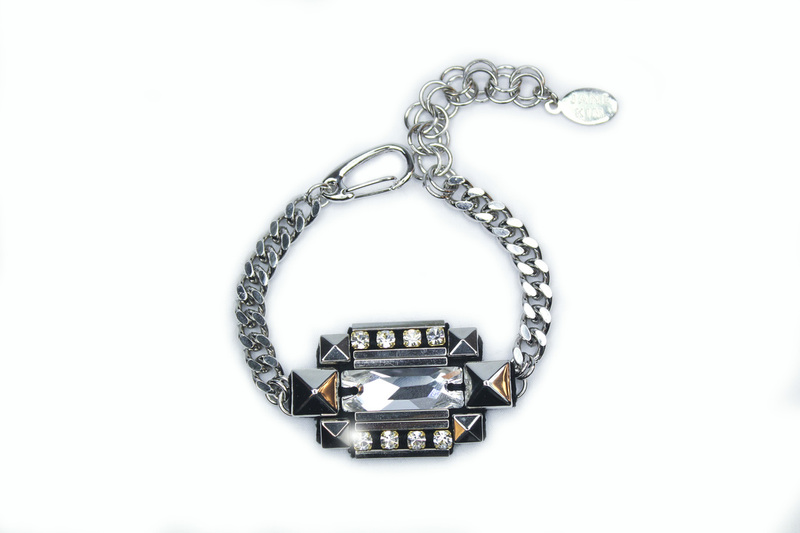 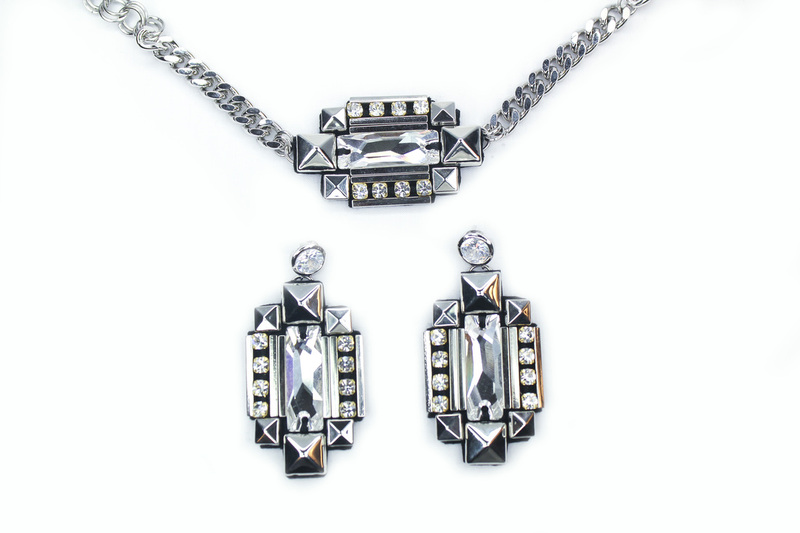 Necklace & bracelet finished with silver-plated curb chain and earrings with brilliant-cut crystal studs. 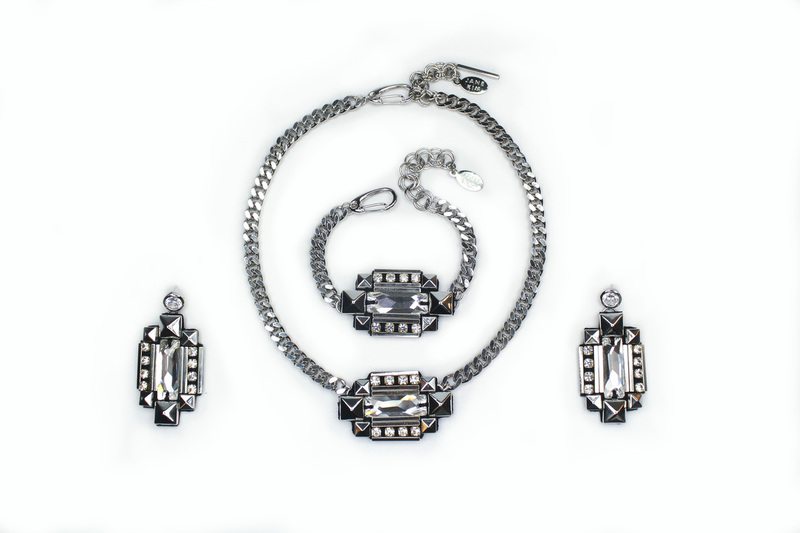 All pendants finished on soft lamb's leather.